ISLAMABAD: “Faiz Ahmed Faiz in Beirut” – a book which gives account of four years of the renowned poet’s stay in the capital city of Lebanon has been published by Pakistan Academy of Letters (PAL). The book has been written by Tasleem Elahi Zulfi who has focused on activities and routine life of Faiz in Beirut during his stay there as expatriate. 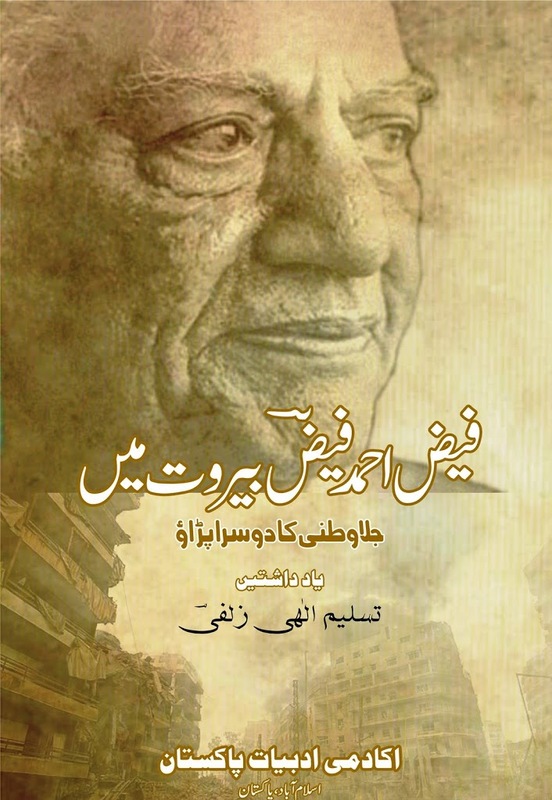 The new publication on Faiz Ahmed Faiz is in relation to his centenary celebrations being marked all over the world. Fakhar Zaman, Chairman, PAL, said on the release of the book that “Tasleem Elahi’s brings new aspects of Faiz to us as he has shed light on those four years of poet’s life which were not discussed” by writers before. Tasleem has written his memoires about his meetings with Faiz Ahmed Faiz during the four years of Faiz’s asylum in Beirut.